Donald Trump’s infrastructure push could provide some relief for the Federal Reserve. The U.S. president-elect promised spending on roads and bridges in his victory speech. A fiscal splurge would make it easier for the central bank to keep raising rates. 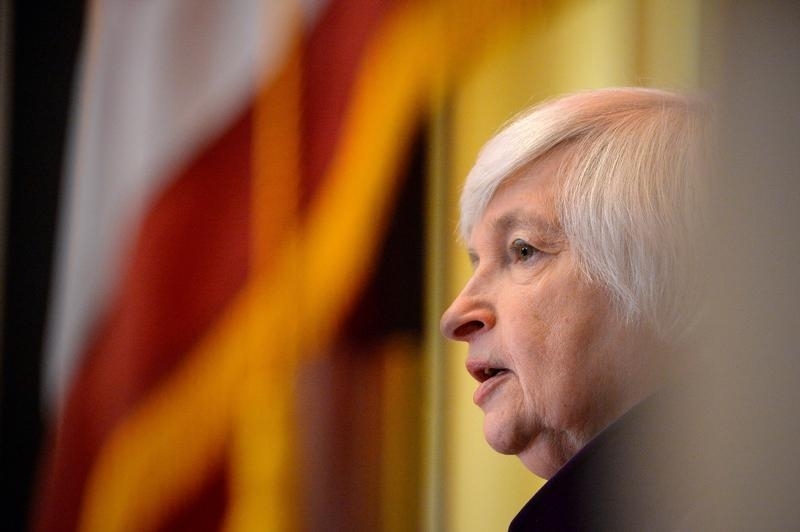 Clarity on the fate of Fed Chair Janet Yellen, however, matters more. Trump said America’s infrastructure will become “second to none” in his speech to supporters following his election win. Though plans are vague, he has previously promised to allocate $500 billion to $1 trillion to rebuild dilapidated roads and bridges. The shift to fiscal spending chimes with Yellen and other Fed officials, who have suggested that such investments are needed to boost growth and take some of the pressure off stretched monetary policy. Hopes for a spending boost – combined with a reasonably calm market reaction to Trump’s victory – should keep the Fed on track to raise interest rates in December, as expected. The economy has shown signs of stronger improvement that would warrant an increase. The initial estimate of third-quarter GDP indicated 2.9 percent growth, which is the fastest rate in two years. Yields on 10-year U.S. Treasury bonds hit 1.96 percent on the morning of Nov. 9, reflecting higher interest rate expectations. More important, though, is clarity on Yellen’s position. During the last few months of his campaign, the Republican candidate threatened to replace her and accused the central bank of keeping interest rates low to help his rival, Democrat Hillary Clinton. It would be rare to push Yellen out three years into her four-year term. Ever since President Ronald Reagan was elected in 1980, Fed chiefs have served in successive Republican and Democratic administrations. The independence of the central bank and its leader is central to its credibility. Economists who have been suggested as replacements for Yellen have policy experience. They include Glenn Hubbard, former chair of the Council of Economic Advisors under George W. Bush, and John Taylor, a former head of international affairs at the Treasury Department. Appointing an economist of that caliber would reassure investors. But it would be better to keep Yellen on as Trump concentrates on filling cabinet positions and delivering his many election promises. With the U.S. economy recovering nicely, it would be a mistake to undermine the Fed. U.S. Federal Reserve Chair Janet L. Yellen speaks with attendees before she addresses the World Affairs Council of Philadelphia in Philadelphia, Pennsylvania, U.S., June 6, 2016. U.S. President-elect Donald Trump discussed his plans for infrastructure spending during his victory speech early Nov. 9. Trump had previously said he wants to allocate $500 million to rebuild American roads and bridges but recently increased that amount to $1 trillion. Separately, Trump has said he would replace Federal Reserve Chair Janet Yellen if he wins the White House. Governors on the Fed board serve 14-year terms while the chair and vice chair have four-year tenures. Yellen took over as Fed chair in February 2014.